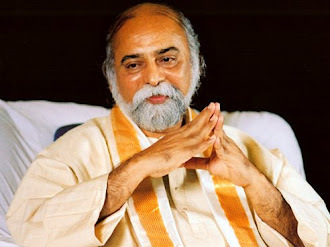 Sri Bhagavan on 17th November 2009 via video conference talks to the European course coordination in Verona, Italy. Q: The most important aspect of the Oneness movement is Life is relationship. How should we take it in the light of the current situation going on in Oneness organisation? B: My way of understanding things is a bit strange. I have transferred the karma of one person into another (which is believed to be possible in India). Once a daughter and a mother came to me and the mother was asking me to transfer the cancer of her daughter to her. I refused initially that I cannot do it, but after much persistence from the mother, I did so. And after few days, the mother died and the daughter was free of cancer and saved. So this is possible. There is an incident from the past where in Ramana Maharishi was suffering from cancer and a person asked him if it can be transferred to him. At that point, Ramana Maharishi says, Do you think I am carrying my own cancer? I have set right relationships for 1,000s of people. People who do this kind of healing should make sure that they dont get affected. And probably I made a mistake somewhere there. So it could be possible that in healing those relationships, I took the karma onto me and so my relationship with my son and the acharyas (who are like my children, they have been there since I started the school) is being affected. Q: Can westerners attend the courses in India? Can we come to meet you? B: I was of the opinion that the westerners should attend the course in India if they want. I was the one who asked to remove homas and rituals from the courses for the west if they are not comfortable and if any westerner wants to attend the ritual they can always go to another campus where its being performed. I also didnt want the different levels of courses to be there. My childhood friend Paramacharya keeps on telling me to remove all the courses and interact with people directly so as to speed up the spiritual process in them and bring about a shift in their consciousness. But going forward, I will be speaking to people personally and giving deeksha and that will be equivalent to Level 3 if you like. Just half an hour of chat with me will be equivalent to 100 courses. And thats what I would be doing. I will meet all of you personally from now on and I am waiting to meet you all. Somehow it was not allowed to be so for these many years. And we can have as different courses as you want like one for Christians, Muslims or Hindu. You can even ask for a personal course to suit your need if you want. If you are a Christian we can only do a course from the Bible. This work is all about freedom. 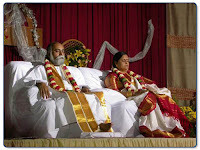 Q: We don't hear about meditating in the temple by dasas and thousands of devotees anymore? B: This was the reason why the temple was built to make 2012 possible. Right now we are not happy with the quality of food for westerners so best to wait until March 2010, but if you are OK with it you can come now. 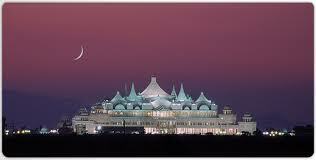 After that people can openly come to the Oneness temple whenever they want and meditate. What else is the temple for? The temple is made with only that vision and mission. I will personally meditate with people there. We are waiting for you, we want you to come and meditate there. Q: How can we relate to the acharyas now? B: You can continue relating to them as a friend and continue loving and respecting them. I am only saying that they are no longer monks and no longer in the spiritual order. So you will have to relate to them using their original names. The names Samadarshini, Anandagiri and Vimalakirthi are the names given by me to them when they joined the spiritual order. When you join a spiritual order, you take a vow and abide to that. Much like an employee who abides by the rules of an organization when he is working there.